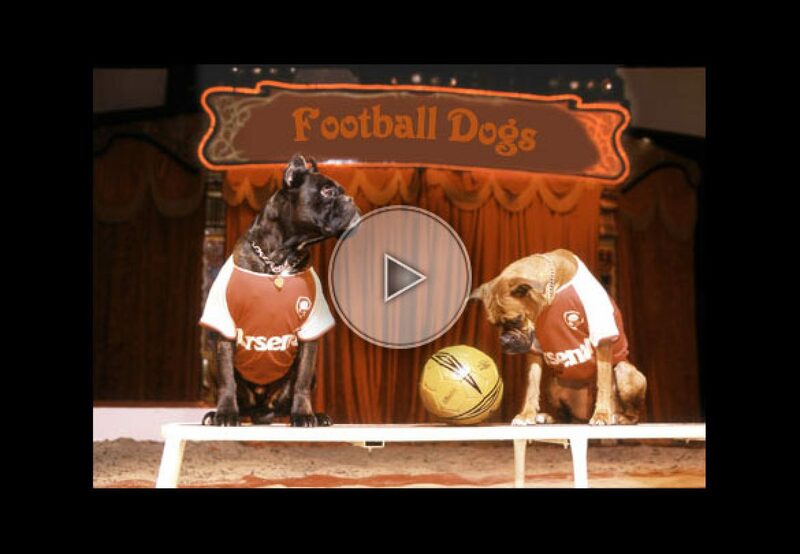 Two dogs teams determined to fight to win the football game of the century. An unusual number of dogs where the boxers are completely suited to the game. You forget you are at the circus , and that you are watching a show.